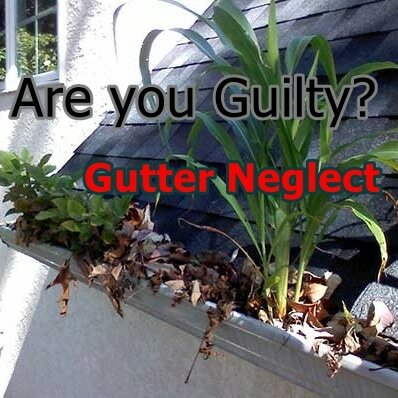 Clogged gutter can have damaging impacts on your home, most essential your roof. Debris which is gathered in the gutters will build up and cause these sections of your roof to fail. It is hard to clean your gutters, most essential when you don’t have the skill and the needed tools. Call JaxPressurePros.com! We will give you with a reliable gutter cleaning service to prevent your roof from decoration and failure. Gutters play an essential role in defending the roof as well as its foundation. We will like to assist you keep your gutters that way as we will get rid of the hazards from gutters so your coverings are secured. Call us for assistance and keep your roof safe and sound! To securely clean the gutters, you must have the best tools and is capable of enduring long periods on a ladder. If you cannot, call Jacksonville Pressure Pros, we will do the job for you. Heavy debris and fallen leaves could cause lots of damages yearly. This is the reason why it is essential to keep the gutters cleaned, most essentially during fall where leaves fall most. You’ll save money from regular cleanings. Call the Jacksonville gutter cleaning specialists for a free estimate today. You have to keep your big investment safe through getting our service. You will discover that you save a lot and worry no more about gutter issues. Having your gutters cleaned professionally will prevent you from spending a lot in replacement. If you are searching for a Jacksonville gutter cleaning experts, then call JaxPressurePros.com now at _________. Head Quarters located in Jacksonville Florida Serving all of Florida and the South-Eastern United States. Services Running Every Day of the Week. Check out this very information article by our one and only local news team News4Jax (our favorite channel). This article is very informative on why it's important to get your gutters clean. Hakrama Exterior Cleaners is in no way associated with News4Jax just big fans.